What’s the first thing you think of when you reflect on the word “childhood”? The simple, carefree joys of playing about? 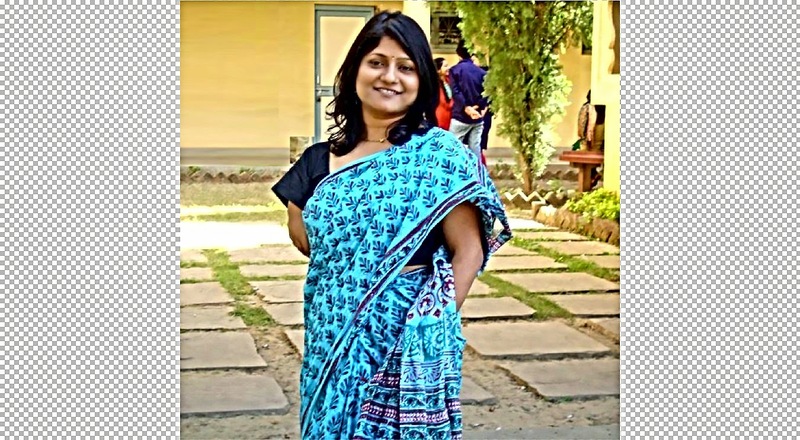 To Neelam Pol, childhood wasn’t just a mnemonic device to jog up such imagery: it became the focal point of her goal as a change-maker, who gave up a high flying corporate career to create spaces for children to have the childhood they deserve. Growing up in a lower middle class family in India, I was plain lucky to not fall through the cracks in life. Encouraged by teachers and my mother, I built a successful career for myself. My best friend, however, was not so lucky. Her mother is illiterate and her teachers did not believe in her. Even today she struggles to make ends meet in her life. This 'luck' sets up children in India to either succeed or fail in life and it does not depend on child's own potential, but on parent education, family income or teacher quality. Affected by my friend’s angry and defeated demeanor and determined to make things right, I switched over from the corporate to the social sector. Since then, I have worked with schools and met many such children on whom their teachers or parents have given up. These children may grow up to be as unhappy as my friend. And that is why I have made a commitment to myself to pursue 'quality education for ALL Children' irrespective of class, caste, gender, ability, income or family. Khel Planet is a step in that direction and is registered as a non-profit in India. While working with low cost schools in rural India, I came across classrooms where teachers taught only to top 10% of the class. Often labeled as dumb and good-for-nothing, every other child wore a look of resignation. Instead of being a place that nurtures learning and growth, school becomes a painful experience for such children. Toying with the question of how learning could be made a joyful and meaningful experience for children, we (me along with Santhosh and Saurabh) started conducting play workshops with children from low income communities in Chennai and Gurgaon. Falling back on existing research that shows (i) 21st century life skills can prepare children to break cycle of poverty and that (ii) play is an effective experiential learning medium; we brought the two approaches together in Khel Planet’s theory of change – ‘Nurture life skills in underprivileged children through games and play to prepare them to break the cycle of poverty and face challenges of the 21st century. These 21st century life skills primarily include leadership, creativity, collaboration, cognitive, emotional, social and civic skills. There are over 100 million children in who belong to low income families in urban, rural and remotest parts of India. 49 million of these speak only a single regional language, that isn’t English or Hindi. How, then, can we scale Khel Planet’s interventions so as to reach all these children? Also many of these children are first generation learners, whose parents believe that only a rigorous academic training and good marks will ensure that their children will have a better life than their own. The reality, though, is that industry has termed 47% of Indian graduates as unemployable, lacking confidence and communication skills. How can we alter mindset of such parents to believe that ‘life skills are not optional but essential to have’? We are constantly addressing these challenges by being innovative in our approach. Khel Planet is designing card / board games with intuitive instructions and in regional languages. We aim to take these games to all children where we cannot reach with our workshops or volunteers. For mindset change, we not only work with children but also engage with parents, teachers and the communities on the importance of life skills education. We are also trying innovations like setting up toy libraries to institutionalize play in schools and taking road trips across a state to raise awareness about a child’s Right to Play (UN CRC Article 31). Learning from these strategies is definitely helping us move forward with more impact. I believe that change brings learning and growth in its wake. The transition from corporate to development sector helped me apply experience of business operations and outcomes in a completely different and challenging setting. I learnt why and how sustainable change should go hand in hand with efficiency. Now, having experienced both the worlds, I am actively encouraging more people to crossover between the two worlds. One of the groups of children that we work with is from a slum dwelling rag picker community in Lucknow. On one Sunday morning after finishing a workshop with us, three kids emerged from the slum, each carrying a sack. They were going to ‘work’ (to rag pick). When they saw us in the distance, they hid their sacks and were embarrassed that we had seen them like that. These children are 7 to 10 years old. Clearly, they face challenges at multiple levels - poverty, child labor, lack of access to formal education and frequent relocation are challenges that are commonly discussed. But a manifestation of these challenges in children can be seen in lack of dignity, low self-worth and self-esteem, very little social skills and vulnerability to abuse. These children might grow up without any sense of control over their own lives and will continue to remain in poverty. In our work with these children, we all need to ensure that in addition to addressing immediate concerns of school enrollment, health or child labor, we are also equipping these children with life skills that help them to adapt and behave positively in life and deal effectively with everyday challenges and stress. We should hold these children to the same expectations and outcomes that we have of children from better-off families. We, the NGOs, CSOs or other developmental organizations working with children, should aim to make our roles redundant. My dream for the future is: a ‘childhood’ for every child! In India, underprivileged children often do not experience a childhood due to a number of reasons. They are abused or exploited or forced to grow up too soon. I would be most happy if I could leave behind a legacy of a sustainable environment where all children experience childhood. They play, they learn and they help each other grow.